Is this another apprenticeship scheme? Aren’t other organisations already tackling the skills gap? Is BESS only for contractors? Or consultants? 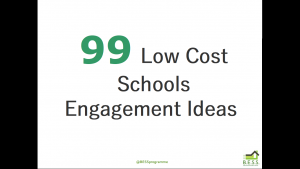 What is the cost for schools and colleges to participate? What commitment do you expect from businesses that subscribe? Why is BESS a 10-year programme? What is behaviour change methodology? What do businesses get in return for their subscription? What’s your track record in construction? We don’t place apprentices, we don’t offer apprenticeships and we don’t promote one career path over another. We DO bring together all the good work that is being done in the sector to promote careers in construction, including apprenticeships, degrees, work placements and good old-fashioned conversations. Other organisations are doing incredible things to tackle the skills gap, including visiting schools, recruiting apprentices and offering qualifications. We are bringing all those pathways under one umbrella and putting the control back into the hands of children so they can choose their own journey. By offering all this through an online platform, we are also actively engaging schools and parents. BESS is for everyone that operates in the built environment. In fact, we can only create the complete journey for children if the whole sector is represented. If your organisation can demonstrate careers, expertise, projects, products, qualifications, role models or outreach, we need you! We don’t charge anything for educators, so that there is nothing to prevent them participating. All our coding, hosting, development and account management costs are covered by the businesses that subscribe to BESS. See the full pricing structure here. Significant behaviour change isn’t an overnight process, and the sector has a big mountain to climb. 10 years is the generational timescale for a major behaviour change, and it aligns us with the government’s ‘Construction 2025’ strategy. Behaviour change methodology uses social marketing as an approach to develop activities aimed at changing or maintaining people’s behaviour for the benefit of individuals and society as a whole. Combining ideas from commercial marketing and the social sciences, social marketing is a proven tool for influencing behaviour in a sustainable and cost-effective way. The goal of social marketing is always to change or maintain how people behave – not what they think or how aware they are about an issue. Social marketing helps to ensure policy is based on an understanding of people’s lives, making policy goals realistic and achievable and it enables you to target your resources cost-effectively, and select interventions that have the best impact over time. Who needs more spam in their inbox? When you subscribe, we will contact you via the online social network platform, in the same way as schools and students. We will also contact you about opportunities via the champions you identify within your own organisation (often your CSR Manager, or similar). If you sign up for our newsletter, we will send that to you by email once a quarter. We will never spam you with emails you didn’t request. Not very much at all! We’re behaviour change experts, with a background in significant grass-roots change programmes. But we know we wouldn’t last long without a real insight into construction, so we have a non-executive Board of Advisors to guide and support us.